Nissan’s compact NV200 van is already New York’s “Taxi of Tomorrow,” but now the Japanese company is trying to make inroads in a new market, one that already has an iconic cab. Nissan is currently pitching the NV200 as an alternative to the famous London black cab. A European-spec NV200 taxi will seat five passengers, with three on a bench seat and two in rear-facing jump seats. The area normally occupied by the front passenger seat will be used for luggage. Nissan will outfit the NV200 with London-specific lighting and the trademark black paint job. The NV200 has an advantage in the U.K. because it is closer in size to the standard London Taxi Company (LTI) TX4 than it is to the massive Ford Crown Victorias preferred by New York cabbies. According to Nissan, the NV200 is greener than the TX4, so it will pollute less and save drivers precious pounds at the pump. The TX4 is powered by a 2.5-liter, four-cylinder diesel engine, which makes 99 horsepower and 177 pound-feet of torque. The NV200 is powered by a 1.5-liter diesel with 89 hp and 151 lb-ft. The Nissan may have less power, but its makers say it will return 44.4 mpg, compared to the TX4’s 29.4 mpg. 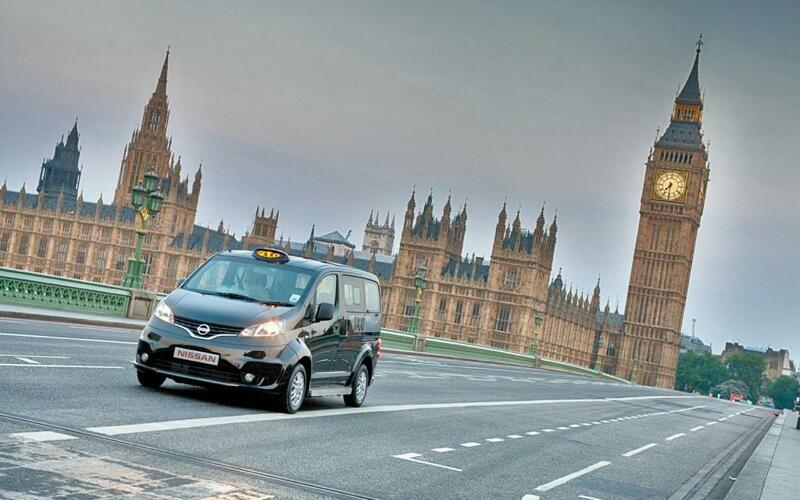 It’s the same story with emissions: the NV200 emits 139 grams of carbon dioxide per kilometer, the TX4 emits 240. For the ultimate in eco-taxi driving, Nissan will also import the electric e-NV200 as a cab. Nissan also hopes to trump the traditional Black Cab on interior accommodations. The NV200 comes with a 12.9-square-foot panoramic glass roof, perfect for sightseers, as well as USB ports and individual controls for lighting and heat/air conditioning. Both vehicles are handicap-accessible, but Nissan says its van’s layout should make getting in and out easier. In a TX4, a side ramp unfolds for wheelchair access, and a pair of seats are stowed to make room. The NV200 also has a folding ramp, but its seats slide backward instead. The NV200 may equal or better its aged foe in practical terms, but the TX4 has the styling contest all locked up. The Nissan isn’t an ugly car, but it just looks like any other minivan. 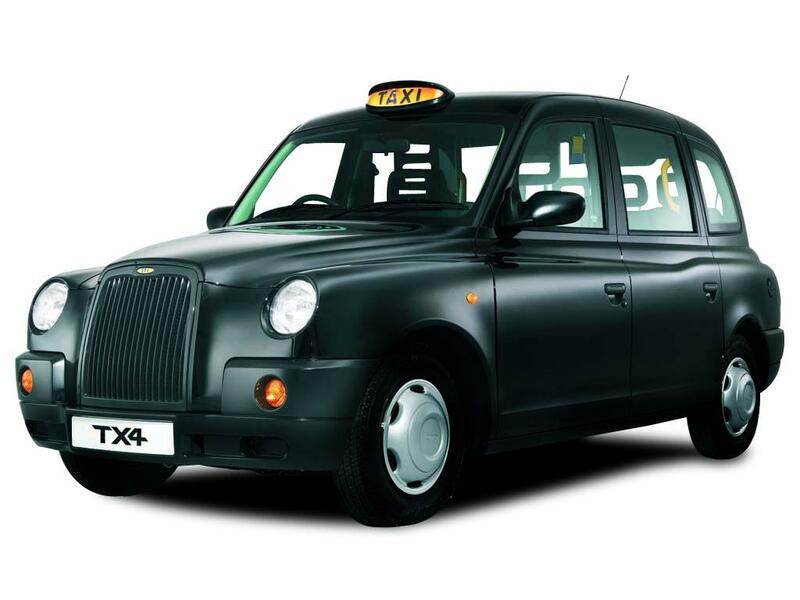 The TX4 is unique and instantly recognizable, thanks to styling that dates back to the 1960s Austin FX4 taxi. There is something to be said for that. London’s taxis are symbols of their city; if cabbies start driving the same vehicles as everyone else, things will be a little less interesting.